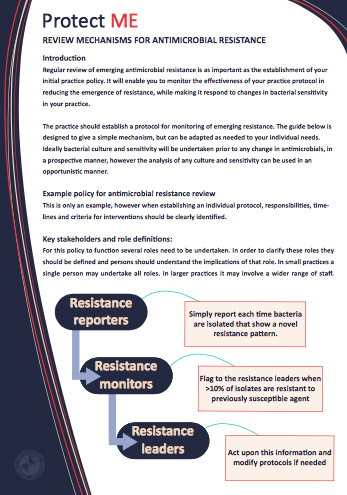 All major health and veterinary organisations are working to try and limit the development of resistance so that effective antimicrobials can be retained for use in clinical practice. 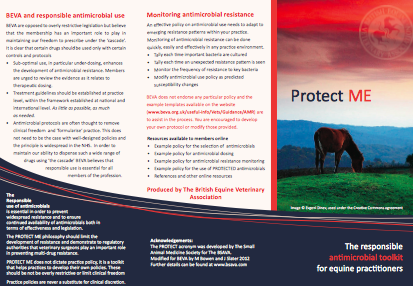 BEVA believes that effective self-regulation on the responsible use of antimicrobials is a more suitable option than a legislative solution. 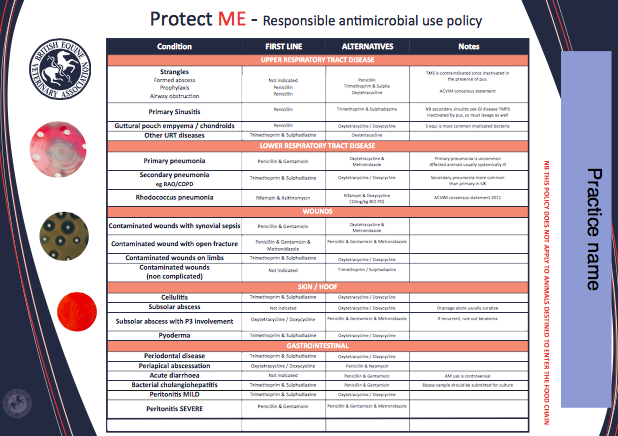 The PROTECT ME toolkit is modelled on BSAVA PROTECT guidelines developed by SAMSoc, but incorporating the essential watchwords ‘Monitor’ and ‘Educate’. In 2016 BEVA received a national Antibiotic Guardian award from Public Health England in recognition of the work being done to promote responsible antibiotic use. This award is a reflection on the work of individual veterinary practices in developing protocols for optimal use of antimicrobials. 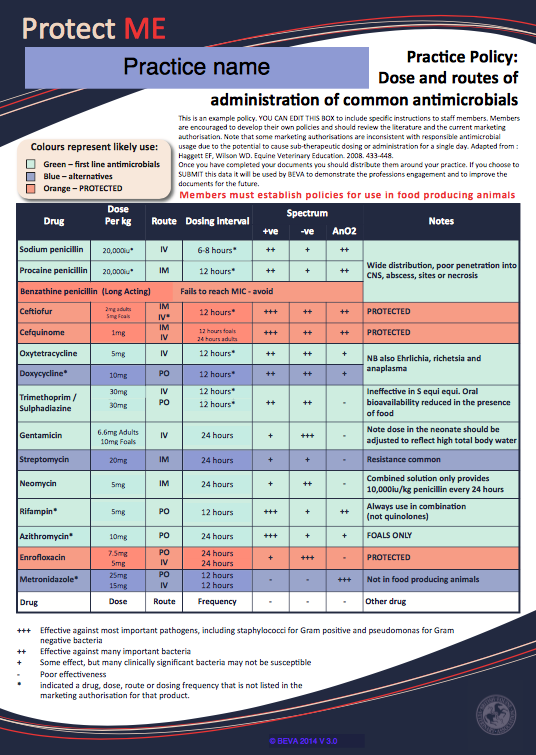 Therefore, this year to recognise world antibiotic awareness week (16th to 22nd November, 2016) and European Antibiotic Awareness Day (18th November), BEVA are encouraging members to document their efforts to reduce the use of critically important antibiotics. 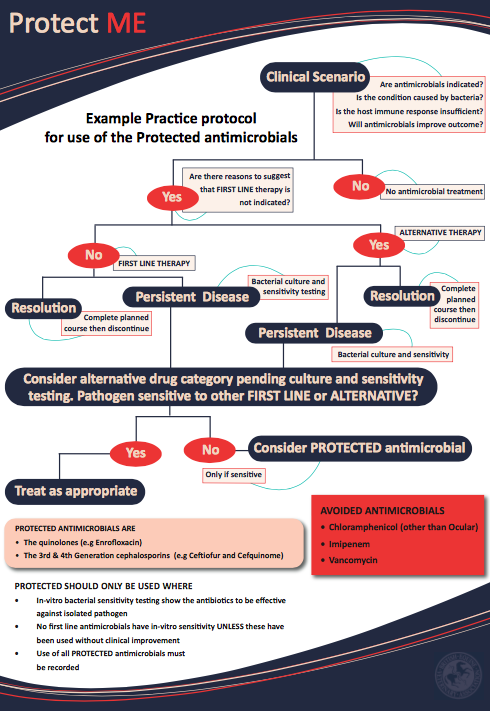 The process is simple, and just requires individuals to share sales data (in mls) of chosen antibiotics. 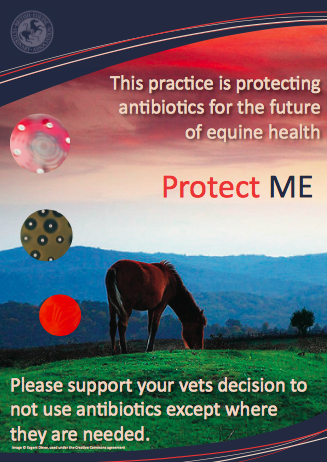 Practices that document a reduction in antibiotic sales of these drugs will be awarded a BEVA Antibiotic Champion Award that can be used to promote individual practices and promote public awareness of antibiotic awareness. Apply for BEVA Antibiotic Champion Award status and play your part in reducing the use of antibiotics. COMPLETE THE RELEVANT INFORMATION AND RETURN VIA EMAIL TO THE BEVA OFFICE. 1. What it the most effective type of tourniquet to use for IRP? 2. What perfusate volume should be used in IRP? 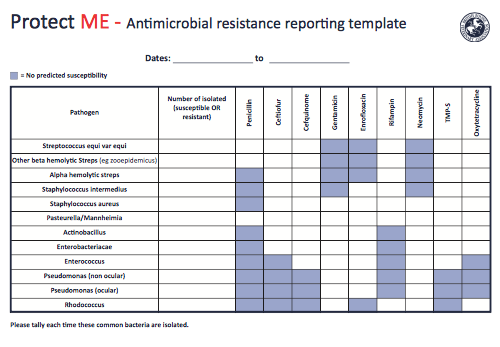 Sometimes data sheet doses do not reflect the current evidence based on current understanding of pharmacology and likely MICs of common equine pathogens. 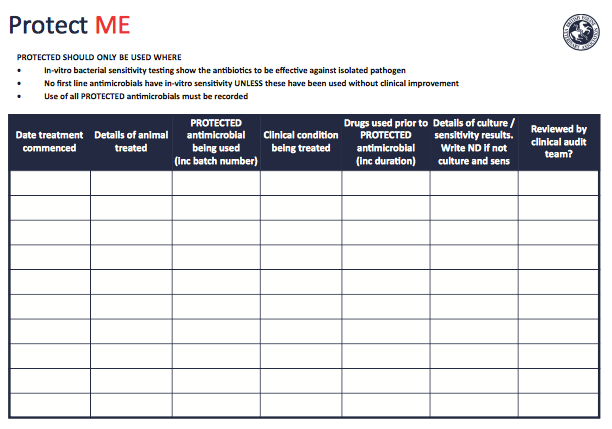 Several of the documents, including the BEVA antimicrobial policy template are available as PDF forms and require Adobe reader software to access. This can be downloaded for free from www.adobe.com/reader. An instructional video demonstrating how to use PDF forms can viewed here. A purple banner will appear at the top of the document asking you to complete the form. While ‘highlight existing fields’ is selected the available sections that can be changed are highlighted. Use the TAB key or your mouse to move between fields. Once you have completed your policy, you should save it to your local computer so that it can be amended as needed. 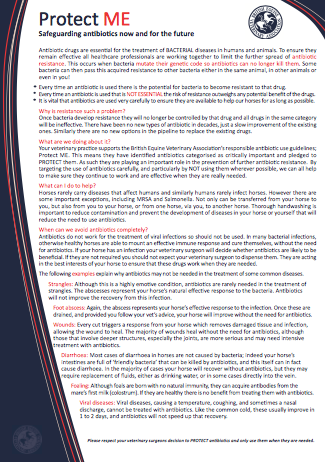 Print multiple copies and distribute to all members of the practice. 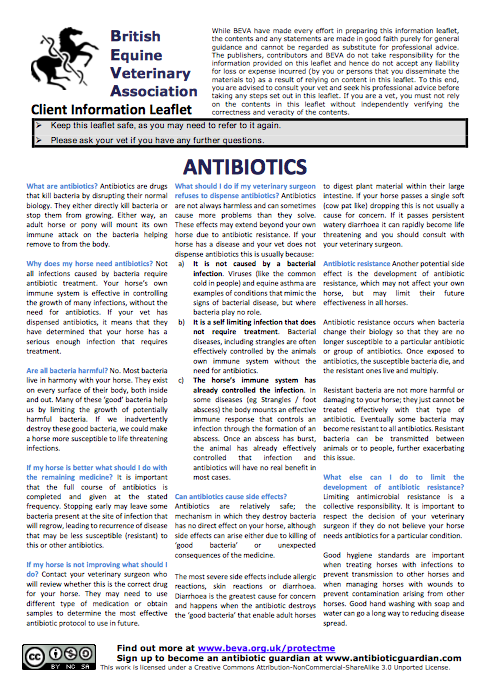 We recommend additional copies are posted in your pharmacy. If you choose to you may submit your document to the BEVA office. This will enable BEVA to improve their documents for the future. All data submitted to BEVA will be treated in the strictest confidence and details of originating practices will not be used in any way. If you have any comments to improve these policy documents please email. The dynamic functions of these PDF forms are not compatible with all tablet based PDF readers. The best solution to distribute to iphone / android devices is to print as a PDF using free software such as cutePDF available from cutepdf.com or primopdf from primopdf.com.